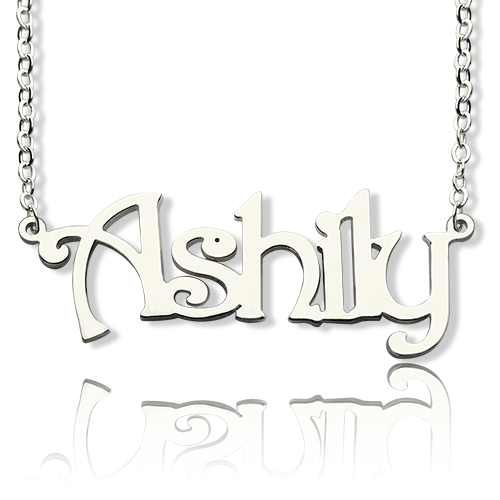 Express yourself with this solid platinum nameplate necklace in a beautiful Harrington Font. This nameplate comes with an white gold O chain in the length of your choice. One name or word per pendant. First letter only may be capitalized. Pendant is approximately 0.7mm (0.027" )thick and 5 - 10mm (0.196"-0.39") high.